Mad Scientists. Some want to save the world. Some want to take over the world. Some want to clone Hitler. Some just want to show the world how smart they are. Born from the early Gothic novels from Mary Shelley and Robert Louis Stevenson and H.G. Wells and Jules Verne, the Mad Scientist has grown into an archetype (if not a stereotype) that spans genre and medium. Some we love to love like Doc Brown in the Back to the Future series of films, and some scare the bejesus out of us like Seth Brundel in the Cronenberg remake of The Fly. 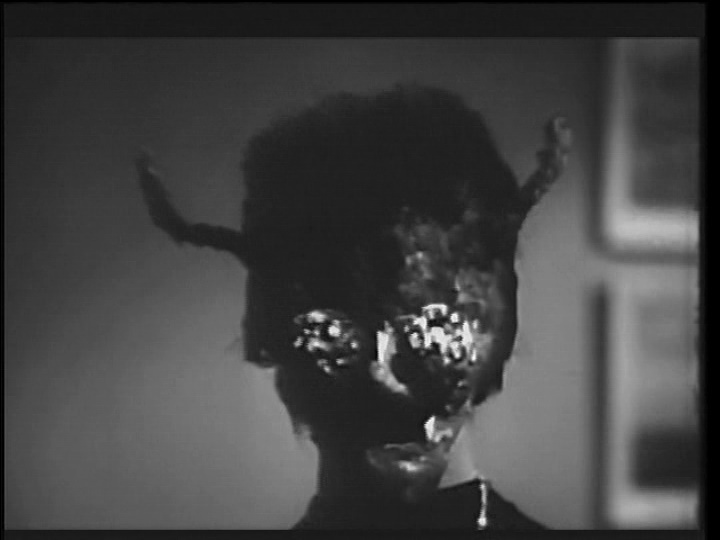 In The Wasp Woman, it’s Dr. Zinthrop who has come up with a means of reversing the aging process. He interests Janice Starlin, the founder and owner of a failing cosmetics company who has also been the face of their failing line due to her fading beauty. 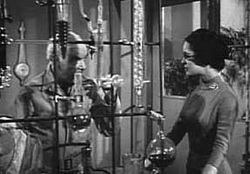 Using the Royal Jelly (it’s always the Royal Jelly in these movies) of wasps, the good doctor injects his potion into a more than willing Janice Starlin to excellent results, but she wants it to work faster and sneaks into his lab and injects herself with a stronger form of the potion. Blah, Blah, Blah…you can probably guess the rest. This is genuine Roger Corman awesomeness (though a kind of rip off of The Fly from the previous year). 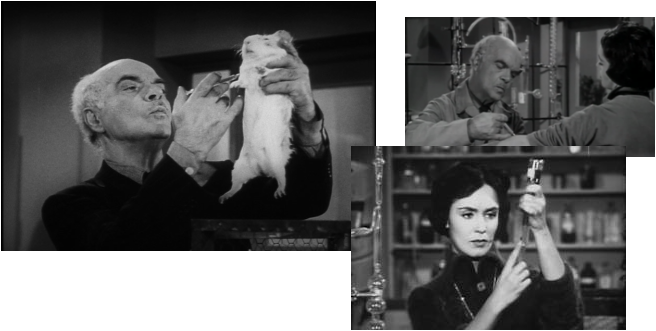 As far as Mad Scientists go, Dr. Zinthrop isn’t that bad. His madness is countered by the vanity of Janice Starlin so he comes across as the sane one. Zinthrop may not be Victor Frankenstein or Dr. Moreau or Herbert West, but he does create a classic campy monster and we thank both him and his creator Roger Corman. 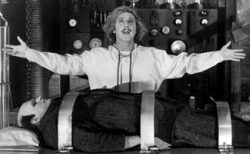 Here's a montage of movies with Mad Scientists. See how many you know. Misunderstood geniuses or mad men with chemistry sets?